bingbonglong: Time for this one to go. The sign shows no "sign" of being repaired. 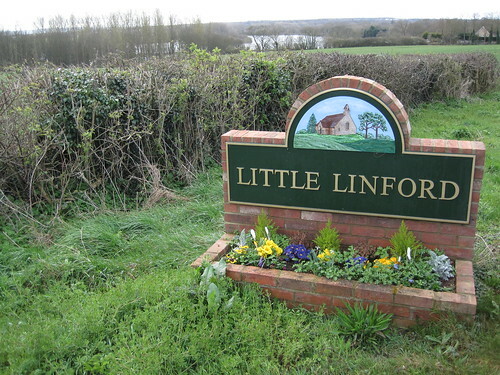 Little Linford's sign is not the traditional tall one on the village green, but still worth seeing, especially after recent horticultural attention! The cache is not at the sign, but is within view of the sign. You need to visit the sign to collect the information required to allow you to find the cache. The road can be very busy so please use the suggested parking and keep a close eye on little ones and dogs as you walk to and from the sign. Have a close look at the sign. There are A screw holes, of which C have screws and B do not.